We are all constantly looking for the hot new flavour of the month in cooking, but sometimes its just so rewarding going back to simple flavours. These Honey Cakes have the beautiful flavour and aroma of good old humble honey, it’s a classic flavour that works so well in baking. 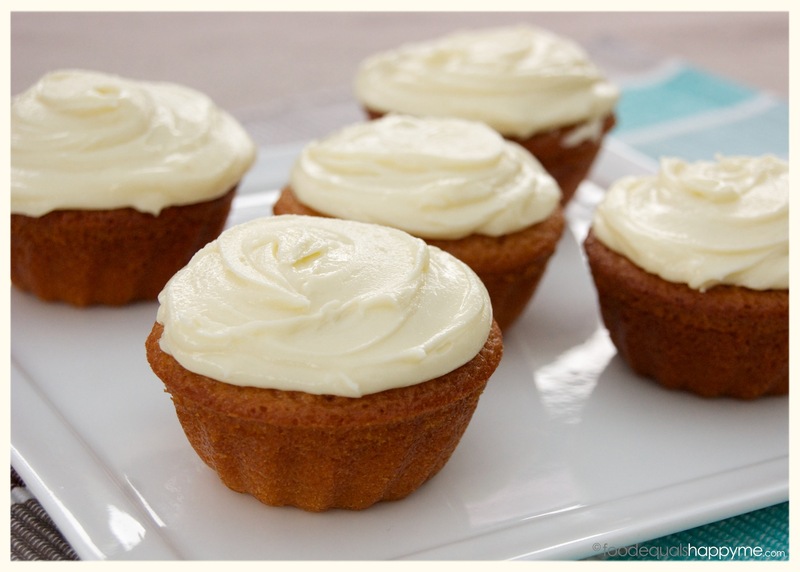 Better yet, they are also packed with a double hit as the cakes are topped with a Honey Cream Cheese Frosting. Classic flavours in a cute little package. These little Honey Cakes are an adaptation of Donna Hay’s Honey Jumbles from her ‘Seasons’ cookbook. The original recipe called for a honey icing made with icing sugar but I actually found it to be far too sweet, surprising I know since I adore all things sweet! 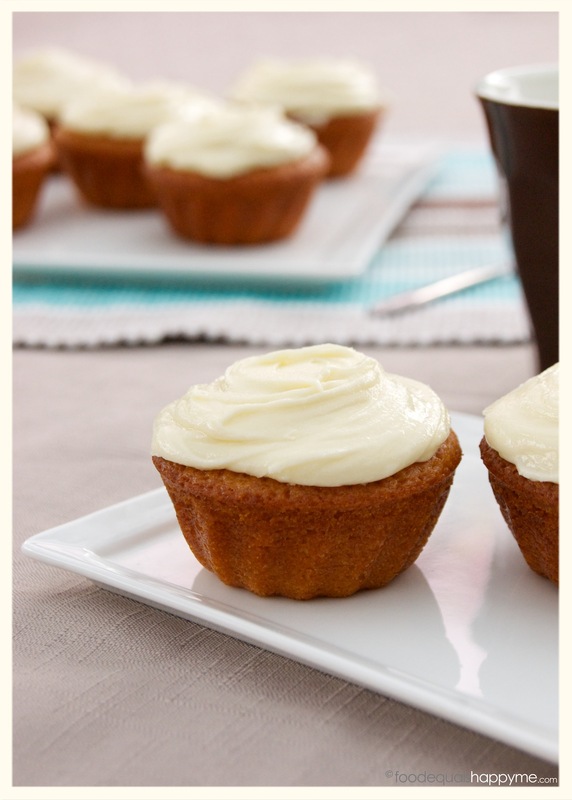 So the recipe listed below is an adapted version which changes out the icing for a cream cheese frosting instead. 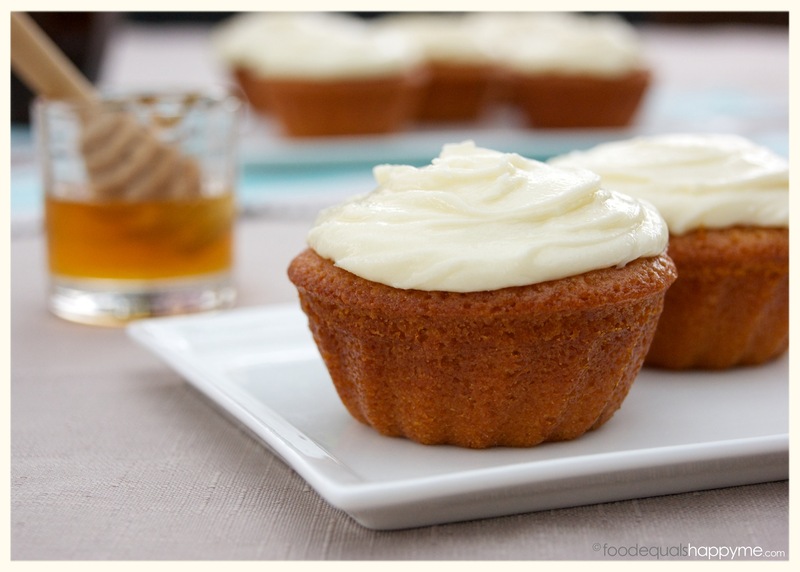 I think the cream cheese frosting just offsets the natural sweetness of the honey perfectly, whip up a batch for afternoon tea and enjoy with a creamy latte. Preheat the oven to 160 degrees celcius and grease a 12 hole patty tin. Place the butter and 1/2 cup honey in a saucepan over a low heat and cook, stirring until melted, set aside to cool slightly. Place the flour, baking powder, caster sugar, milk, egg and butter mixture in a large bowl and mix to combine. The mixture will be quite a loose pourable batter. Pour the mixture into the prepared patty tin and bake for 20 mins or until cooked when tested with a skewer. Leave to cool in the tins slightly before turning out to cool completely on a wire rack. 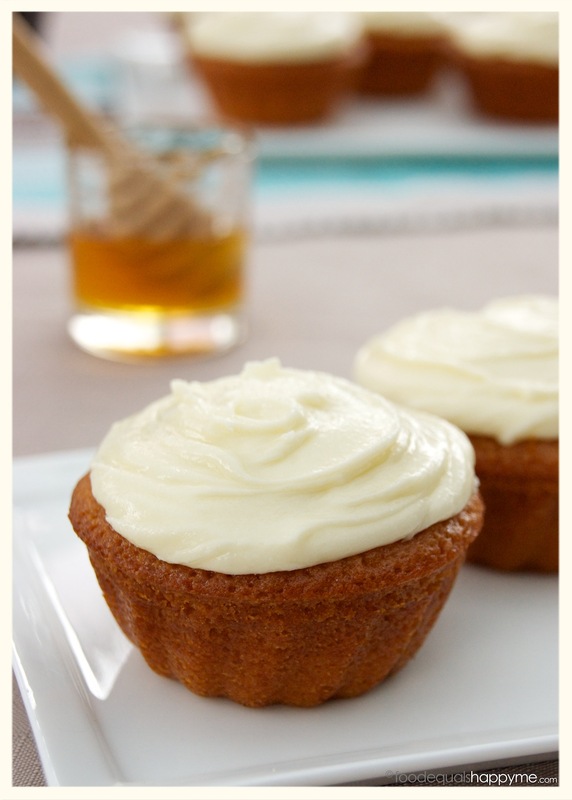 To make the frosting, beat the cream cheese and 1/3 cup honey in an electric mixer until light and fluffy. 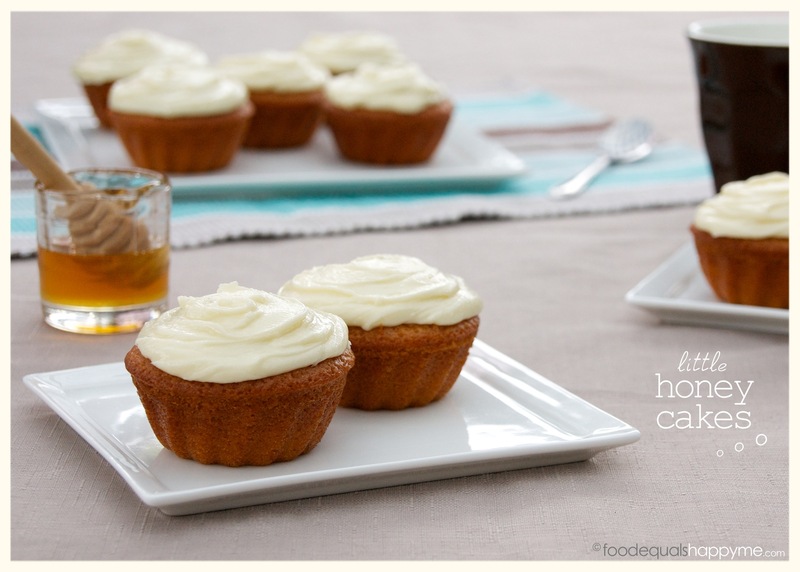 Top each honey cake with a generous lashing of the frosting. 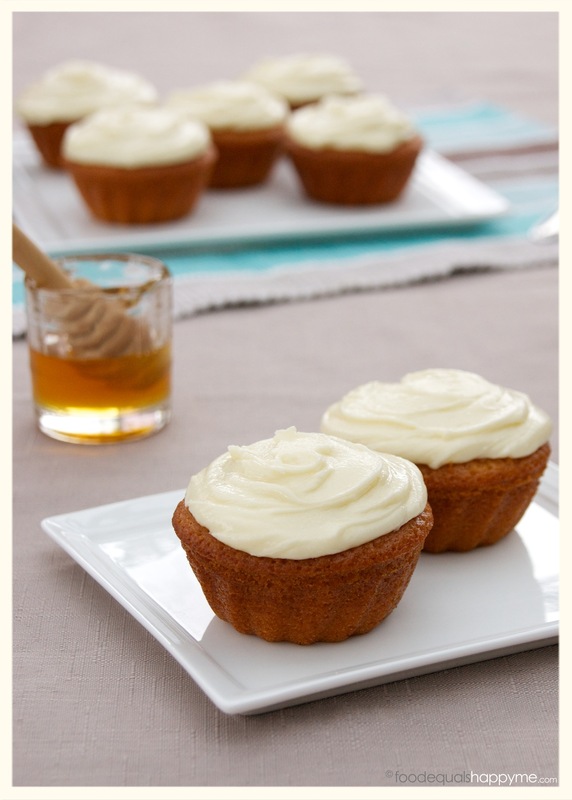 As you’ll probably notice from the pictures, I actually used a mini bundt tin to make these Honey Cakes. Since the mini bundt is quite small and I filled them most of the way to the top, when they rose during cooking they covered over the top so the hole did not go all the way through. So rather than tipping them up the traditional way I left them upside down and topped them with frosting that way and I actually think this made them look even cuter. 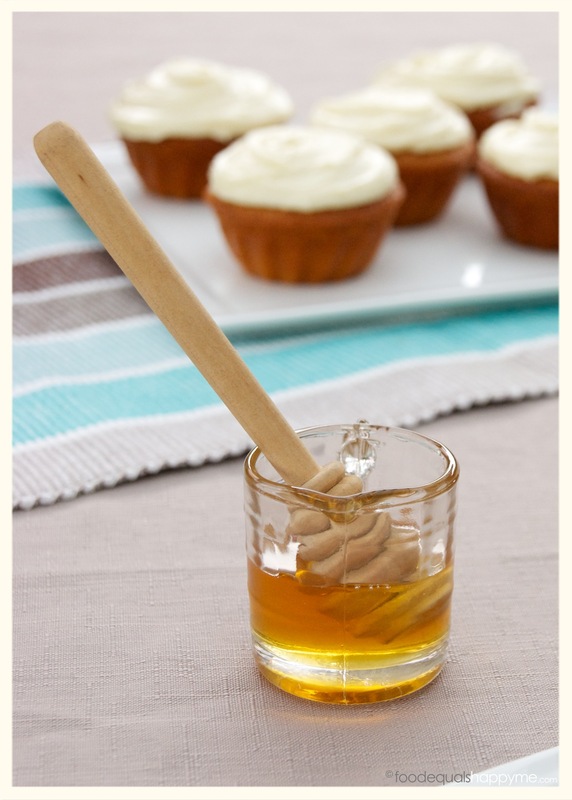 Mmm, I love honey, may have to give these a shot! These are amazing! But it’s too much frosting for the amount of cupcakes it makes. Thank you for the comment! So pleased to hear you liked it..